Saarad Production,we provides Digital Film Making classes,Film Editing classes,Film Making classes to all.the company has created a variety of programs for an extraordinarily diverse clientele, including major corporations, nonprofit organizations, educational institutes, public limited companies and many others. We have a reputation for providing excellent, professional services and we enjoy strong relationships with our clients. 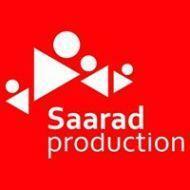 Saarad Production conducts classes in Digital Film Making, Film Editing and Film Making. It is located in Pimple Saudagar, Pune. It takes Regular Classes- at the Institute.